Left to Right: Bruce MacKinnon; Budge Wilson; F. Wayne Adams; Lt.-Gov. Mayann Francis; Premier Darrell Dexter; Sir Graham Day; Joseph Benjamin Bernard. C.M., O.N.S., D.C.L., C.C., E.C.N.S. Wayne Adams is an entrepreneur, community leader, pioneer, politician, and human rights advocate. He is a role model within his community and an inspiration to many Nova Scotians. 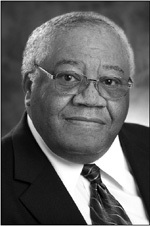 Dr. Adams entered provincial politics in 1993, becoming the first African Nova Scotian Member of the Legislative Assembly and Cabinet Minister. As Minister of the Environment, he introduced the most comprehensive solid-waste management strategy in Canada, making Nova Scotia a world leader in the recycling industry. He introduced the Wilderness Areas Protection Act, which protects nearly 20 per cent of our pristine wilderness for future generations. As Minister of Emergency Measures, he introduced Canada's first fully integrated emergency 911 system. A founding member and former executive director of the Black Cultural Centre, Dr. Adams was instrumental in establishing the Preston Development Fund, which evolved into the highly successful Black Business Initiative. Dr. Adams was awarded the Harry Jerome Award for Black Community Leadership, the Rotary Club's International 4-Way Test Award, and an honourary doctorate in Civil Laws from Saint Mary's University. He became a Member of the Order of Canada in 2003 and was named the Halifax Chamber of Commerce Person of the Year in 2004. Dr. Adams is in demand as a speaker on Black history, community development, environmental and social issues, and business opportunities. Wayne Adams has dedicated his life to his community and his province. This includes over 40 years of volunteer service. He considers every obstacle a challenge and an opportunity. He inspires others, leads by example, and promotes social responsibility. Sir Graham Day is internationally recognized as a business titan and one of the most influential lawyers in Canada. He has served as an advisor to several of the largest companies in Nova Scotia, as well as to numerous corporations in Canada and abroad. His career has spanned many continents and impacted significantly on business, education, and government. Sir Graham is a scholar with a passion for history and the classics. He taught at Dalhousie University, where he served two terms as Chancellor. He has received honorary degrees from Dalhousie University and from several universities in the United Kingdom. In 2010, a scholarship fund was raised in his honour to recognize his immense contribution to Nova Scotia business. Sir Graham dedicated the fund to the Faculty of Management at Dalhousie University to support students who want to enter family businesses or gain experience in trade and transportation or government. His service and support to those in need has been evident throughout his life. He is heralded by both captains of industry and small local entrepreneurs for his willingness to lend a guiding hand and share his vast business knowledge. Sir Graham has contributed generously to the cultural and educational communities in Nova Scotia. He is a strong advocate for local artists and authors. Sir Graham was knighted in 1989 by Her Majesty Queen Elizabeth II. He has been inducted into both the Nova Scotia Business Hall of Fame and Canadian Business Hall of Fame. "Have you seen today's MacKinnon?" opens daily conversation among many Nova Scotians. Bruce MacKinnon's insightful editorial cartoons are renowned for their humour, precision, and power. His pen slices to the heart of news stories, capturing the essence of an issue or a personality in a few deft strokes and summing up the gut feeling of average Nova Scotians. Mr. MacKinnon was only 14 when he was hired to draw cartoons for a local weekly. He continued to work for publications throughout high school and university. 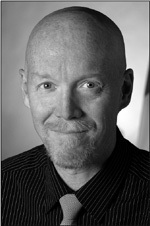 He started a weekly editorial cartoon for The Chronicle Herald in 1985. He has received fifteen Atlantic Journalism Awards and two National Newspaper Awards, and placed second in the 2004 World Press Cartoon Competition. In 1996, he was awarded an honourary doctorate by Saint Mary's University for his work in editorial cartooning. Mr. MacKinnon's decision to stay in Nova Scotia, despite offers from elsewhere, demonstrates his deep attachment to this province, its people, and culture, as does his ongoing generosity in donating time and countless signed prints to charitable organizations. Bruce MacKinnon has brought distinction to Nova Scotia by shining a spotlight on issues that affect the daily lives of its citizens, and by doing so with compassion and humour. Joseph Benjamin Marshall, O.N.S., LL.B. Joseph Marshall, a member of the Eskasoni First Nation, has dedicated his life to advocating for the rights of the Mi'kmaq. He is an aboriginal veteran, esteemed leader, role model, and mentor. Mr. Marshall is the executive director and a founding member of the Union of Nova Scotia Indians, a tribal council created in 1969 to provide a unified voice for the Mi'kmaq people in Nova Scotia. The organization recently celebrated its 41st anniversary, a testimony to Mr. Marshall's vision and dedication. Province of Nova Scotia and the federal government. 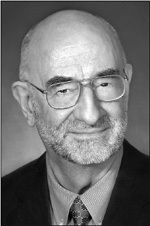 Mr. Marshall retired as Associate Professor of Mi'kmaq Studies and Political Science from Cape Breton University in 2005. While at the university, he was instrumental in the formation of the Mi'kmaq College Institute and the creation of Mi'kmaq Studies as a disciplinary subject. Mr. Marshall was recently appointed to the Department of Natural Resources' Steering Panel by the Assembly of Nova Scotia Mi'kmaq Chiefs, demonstrating the respect with which he is held by Mi'kmaq leaders. The mandate of the panel is to oversee the development of a new strategy governing the province's natural resources. Joseph Marshall is hard working, gentle, and soft spoken, but when he speaks, others listen. He is guided by the knowledge that his work is for our grandchildren's future. 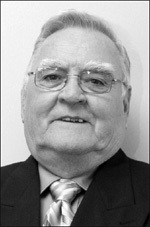 Budge Wilson, C.M., O.N.S., LL.D. A world-renowned writer, acclaimed for her talent, passion, and creative spirit, Budge Wilson is a mainstay in Nova Scotia's cultural community. Dr. Wilson began her literary career late in life. She has published 33 books with 30 foreign editions in 14 languages. Her stories appear in numerous anthologies, as well as in Braille and talking books. Her Before Green Gables book is widely recognized as a ground-breaking text. Her story collection The Leaving was named by the American Library Association as one of "The 75 Best Children's Books of the Last 25 Years". Her short story collection Friendships was a finalist for a Governor General's Award in 2006. Dr. Wilson is a mentor and an inspiration to many writers. She has been invited to give readings, talks, and workshops in libraries, schools, and universities across Canada. She is in demand at conferences and National Book festivals and has represented Canada at international book fairs. Dr. Wilson gives of her time tirelessly and generously to support writers and to promote a love of reading and literature. The Writers' Federation of Nova Scotia paid tribute to her by naming one of the Atlantic Writing Competition prizes The Budge Wilson Short Story Prize. 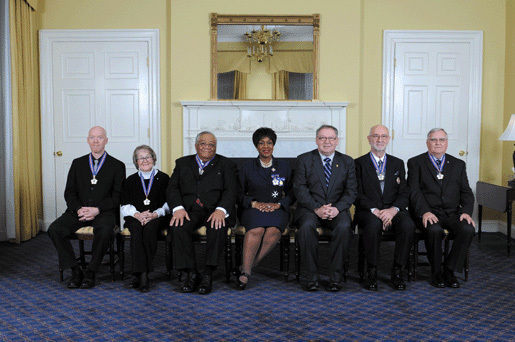 Dr. Wilson received the Order of Canada in 2004. She was awarded an honorary doctorate from Dalhousie University in 2010. 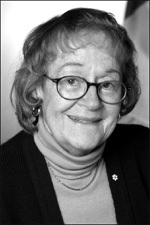 As a cultural ambassador for Nova Scotia, Budge Wilson has been recognized by her peers and readers for her lifetime achievement and her contribution to the literary world.